What does a family practitioner do? Would you make a good family practitioner? Take our career test to find out how you match with this and over 800 other careers. What is the workplace of a Family Practitioner like? This type of doctor is especially prominent in small, rural communities where there may not be the funds, population, or facilities available to justify doctors who specialize in serving different ages. However, family practitioners can be found in urban and suburban settings as well. A family practitioner will use their knowledge as a medical professional to diagnose and treat a variety of medical issues. If a medical problem is outside the range of practice of a family practitioner, they will then refer the patient to an appropriate specialist. Family practitioners also participate in well-care visits with their patients. These are visits that the patient attends despite being in good health. For children, these visits consist of monitoring their growth and developmental milestones. 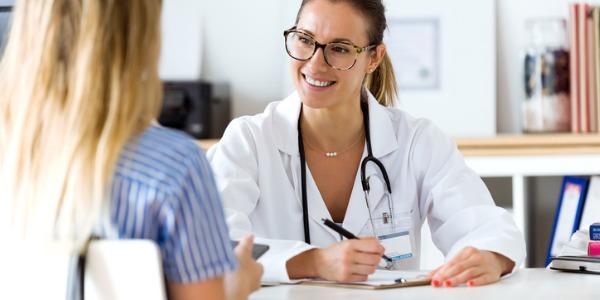 For adults, the doctor will examine their weight to make sure it is at a healthy level, and may perform routine yearly tests - such as cholesterol tests, pap tests, and blood pressure readings - based on a person's age and other factors. Plus, the doctor will administer vaccines to those who need them. A family practitioner is usually the first doctor that someone will call when they are experiencing an illness or health problem. Some family practitioners are even able to oversee a pregnancy, help a woman give birth to a child, and supervise a newborn's medical care. Family practitioners are able to participate in almost every aspect of the medical profession when caring for a patient or a family. Are you suited to be a family practitioner? Family practitioners have distinct personalities. They tend to be investigative individuals, which means they’re intellectual, introspective, and inquisitive. They are curious, methodical, rational, analytical, and logical. Some of them are also social, meaning they’re kind, generous, cooperative, patient, caring, helpful, empathetic, tactful, and friendly. Does this sound like you? Take our free career test to find out if becoming a family practitioner is right for you. Family practitioners work in hospitals or private practices. In the workplace, family doctors will be interacting not only with patients, but with nurses, office workers, and other medical professionals. Some work as professors for universities, while others find work with the government or non-profit organizations. In rural settings, family practitioners generally set up their own office to serve the people of a town. In urban settings, the workload can be much busier. Some family practitioners report working well over the standard five-day, forty-hour work week.